On the eve of President Trump’s trip to Jerusalem, Israel sweetened the pot for his visit by approving several goodwill gestures that would benefit Palestinians in the West Bank, according to reports. 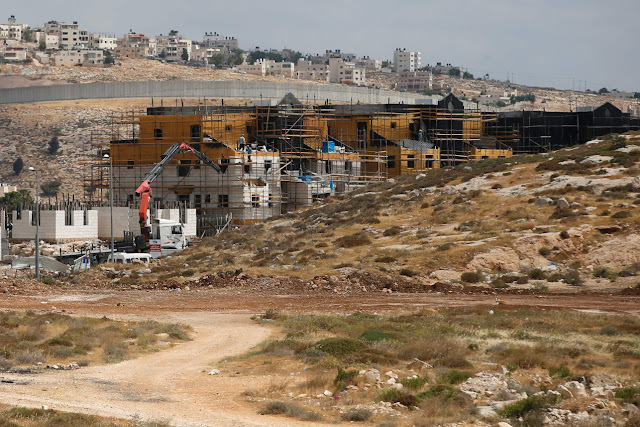 Prime Minister Benjamin Netanyahu’s Security Council on Sunday OK’d several measures, including construction permits for Palestinians in parts of the West Bank under Israeli control, senior officials said. The area, which makes up 60 percent of the West Bank and is the site of Israel’s settlements, has largely been off limits to Palestinian development. The measures also include keeping open a key border crossing between the West Bank and Jordan for 24 hours a day and easing passage for Palestinian laborers at a crossing between the West Bank and Israel. A senior official told the newspaper Haaretz that the moves do not harm Israeli interests and involve only economic and civilian issues. The stakes are high for Trump who has handed the task for negotiating a peace between the Israelis and Palestinians to his son-in-law Jared Kushner and longtime business lawyer Jason Greenblatt – and endeavor that has bedeviled previous administrations. The two will join Trump on separate visits with Netanyahu and Palestinian Authority President Mahmoud Abbas. The president will also visit Holocaust memorial Yad Vashem and the Western Wall, a Jewish holy site, during his two-day visit.